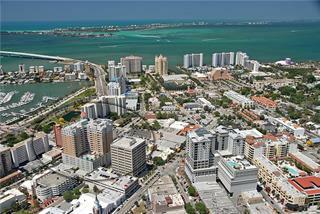 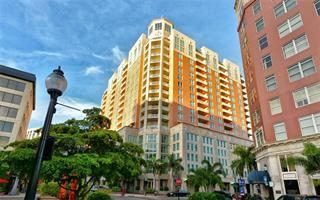 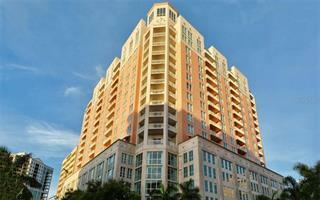 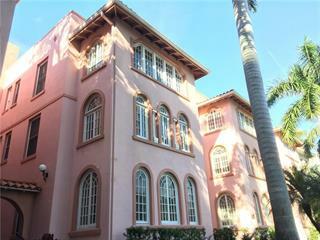 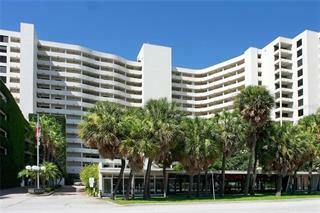 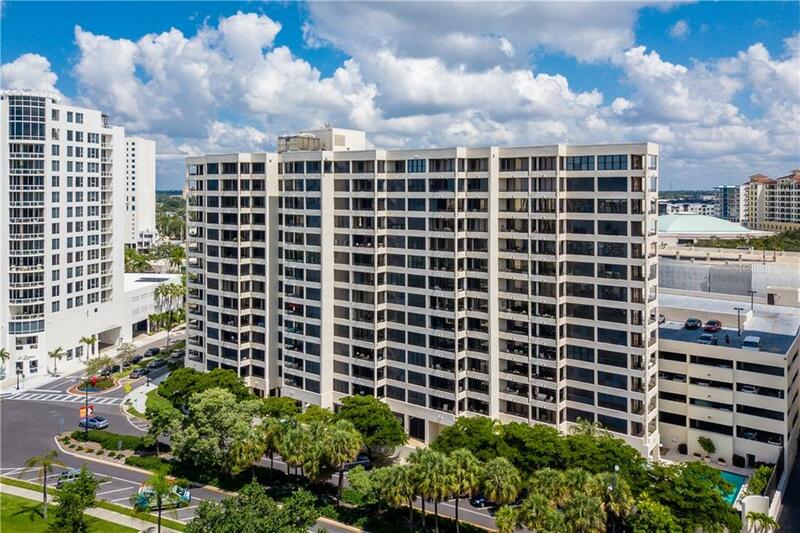 Ask a question about 1255 N Gulfstream Ave #807, or schedule a tour. 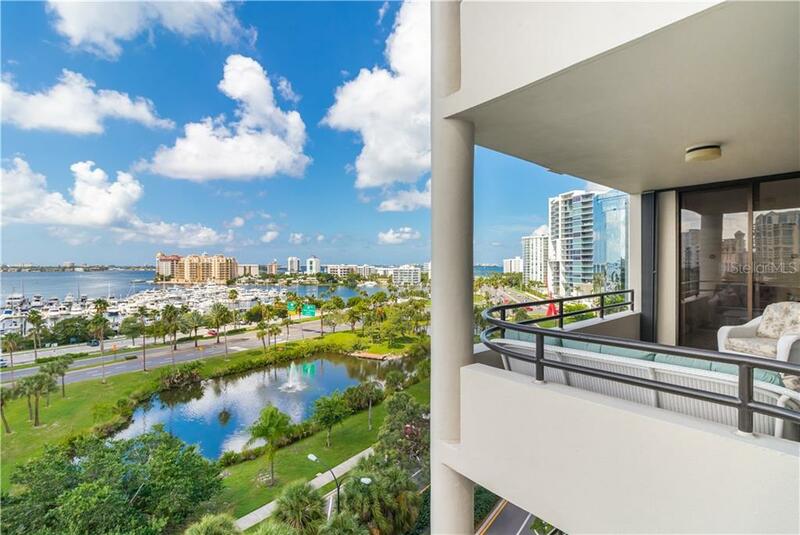 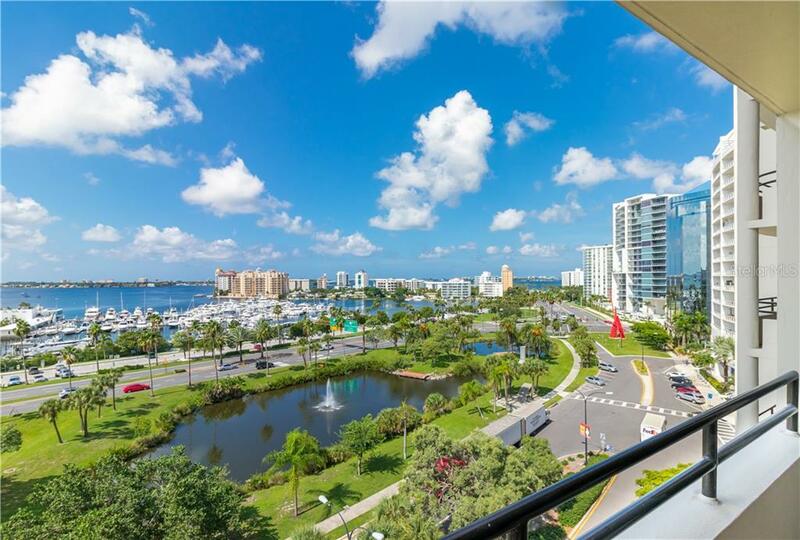 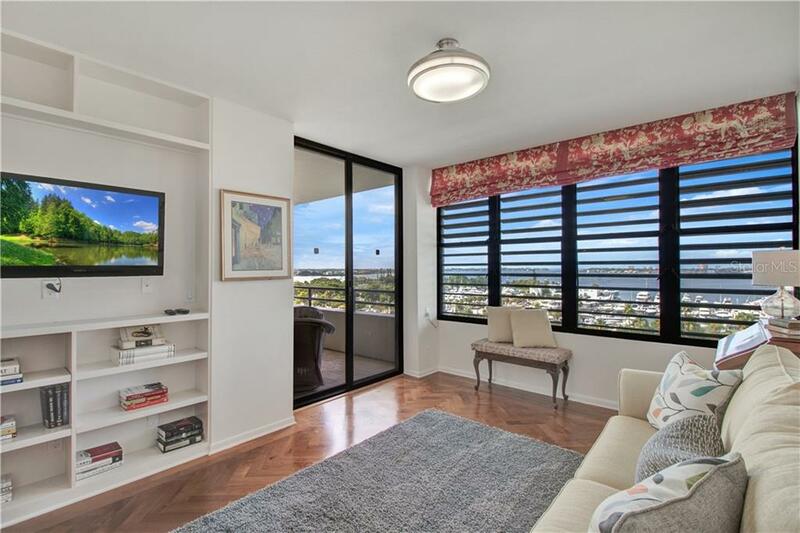 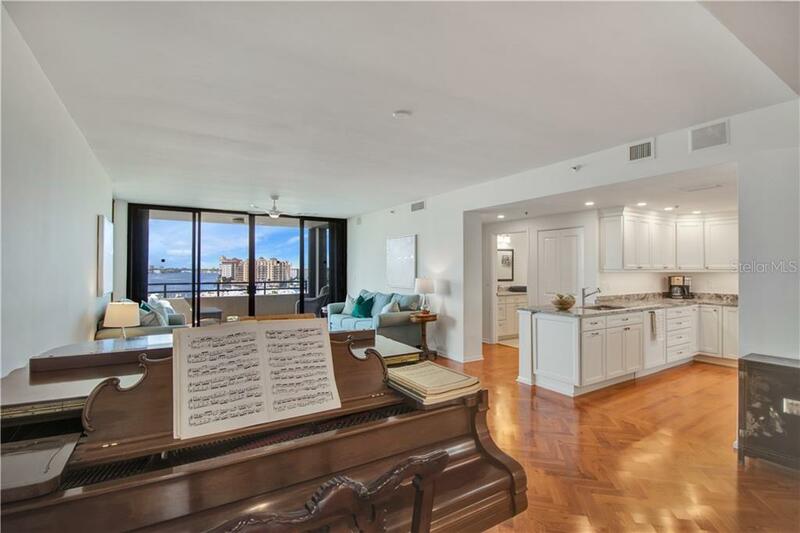 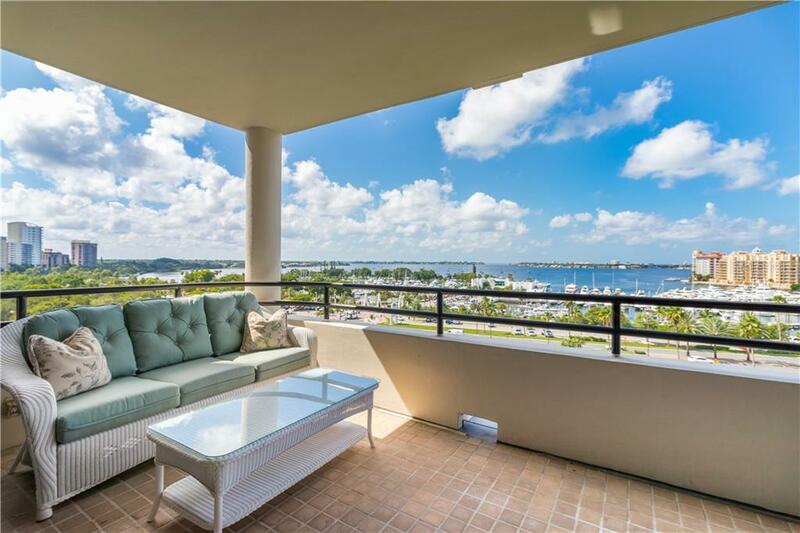 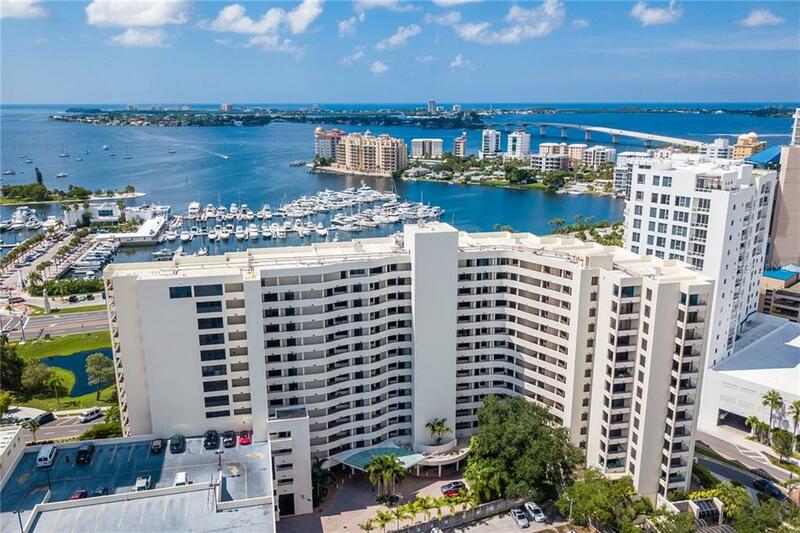 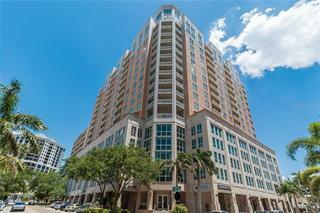 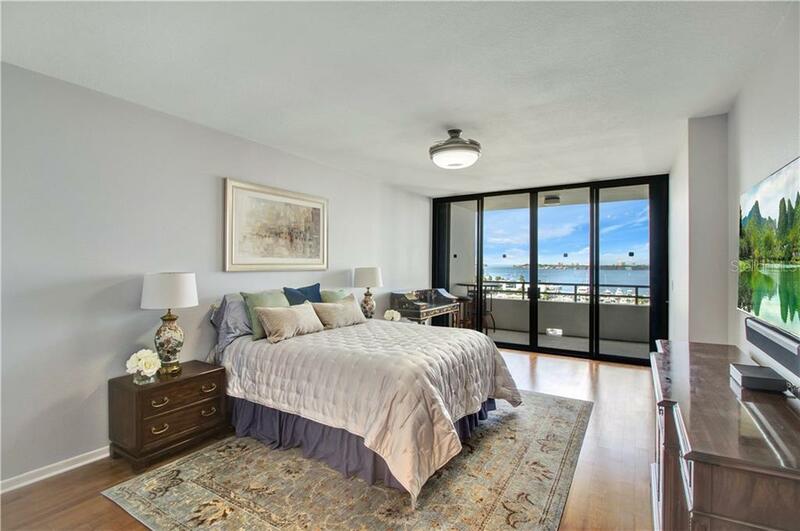 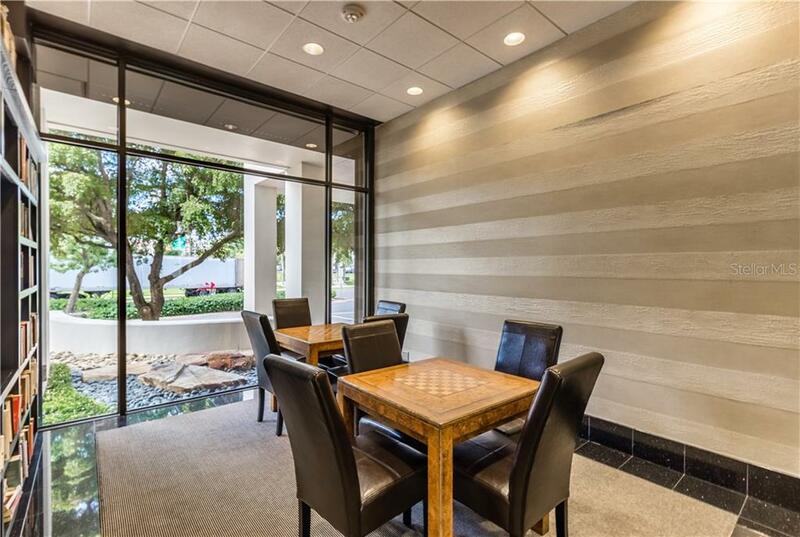 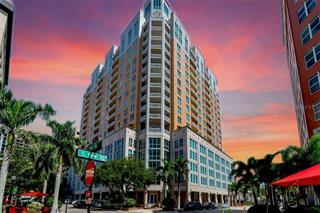 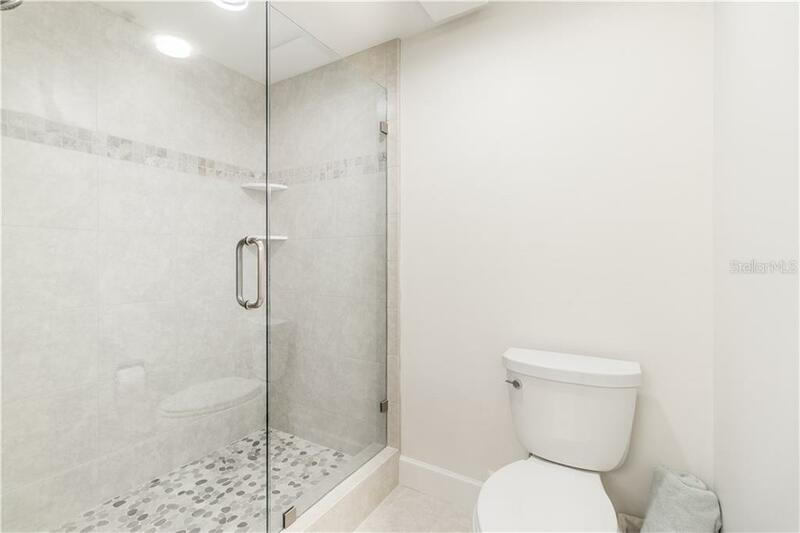 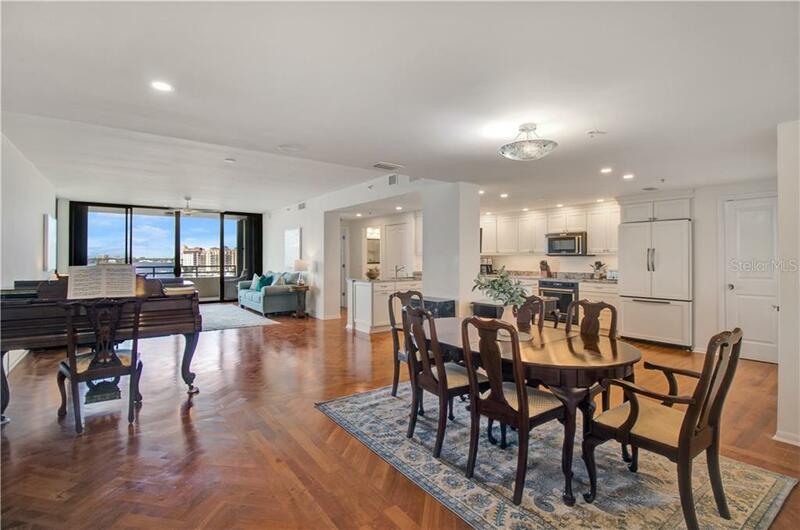 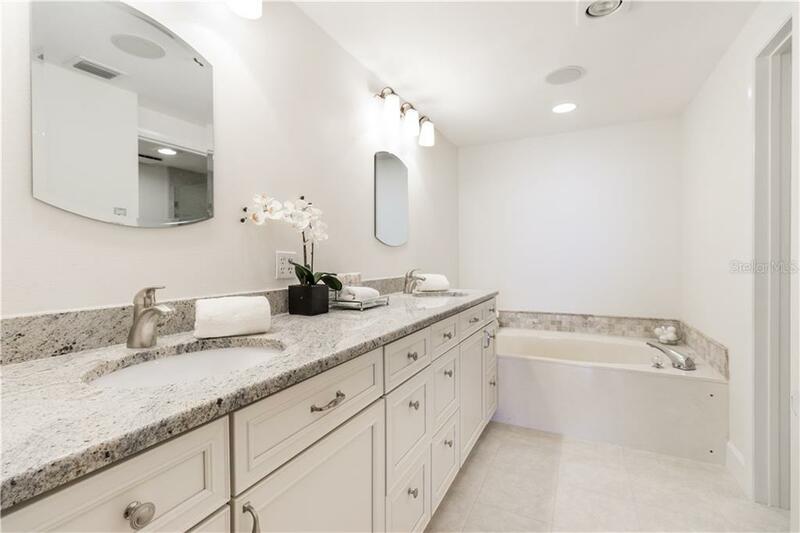 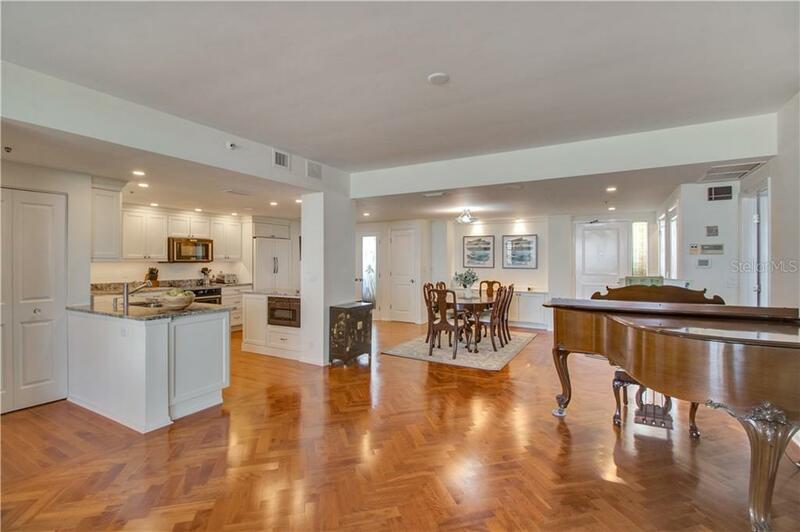 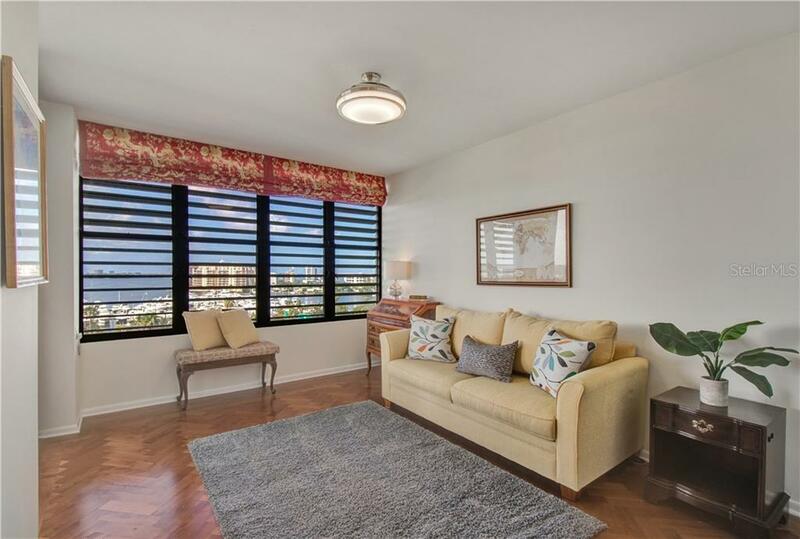 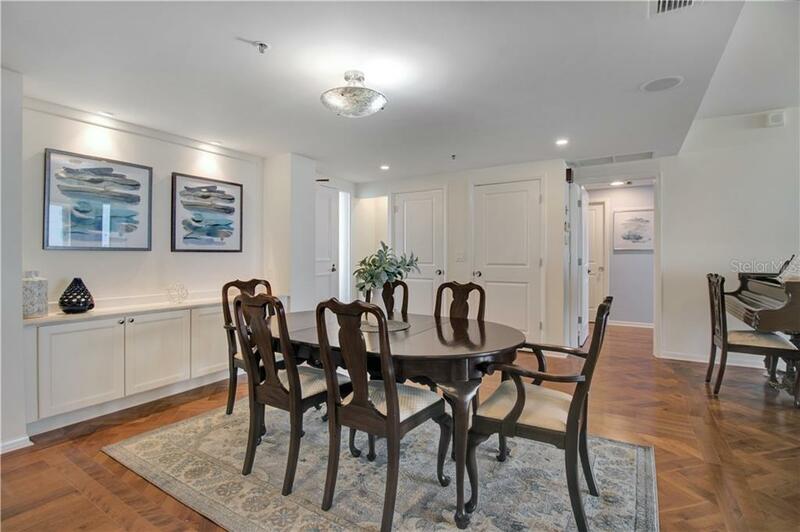 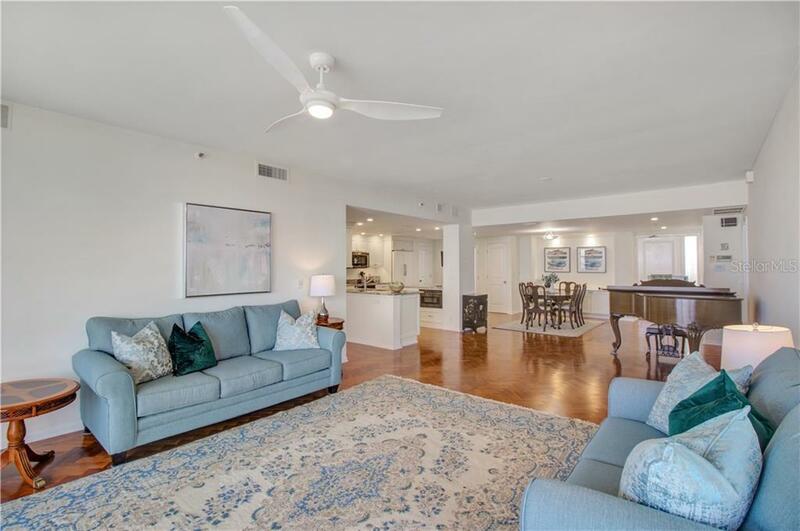 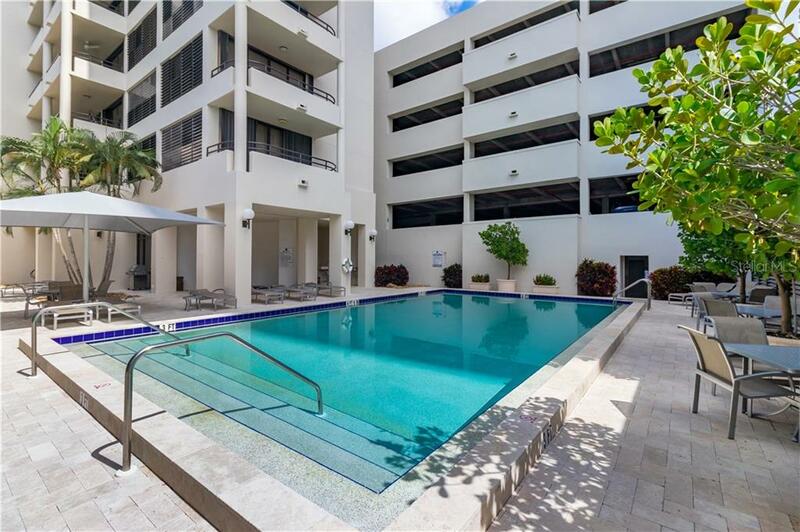 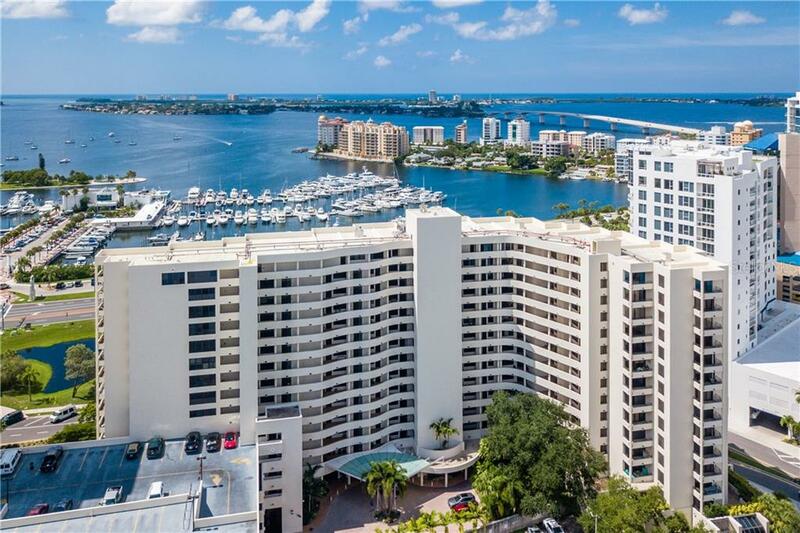 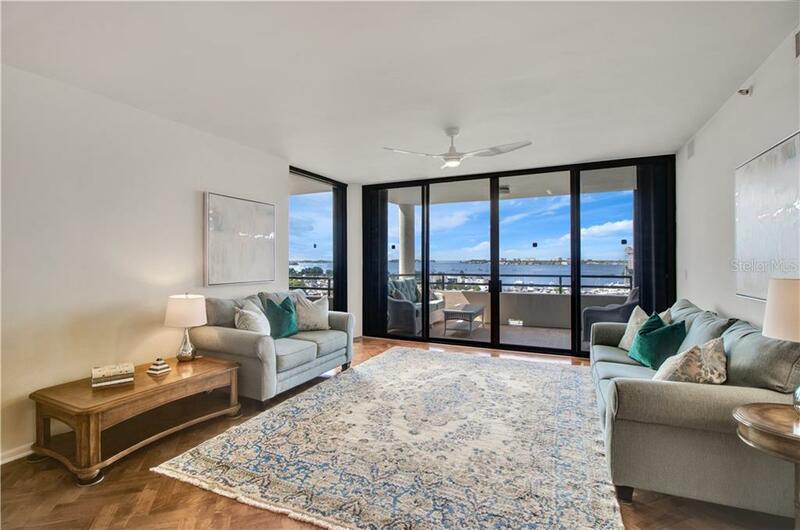 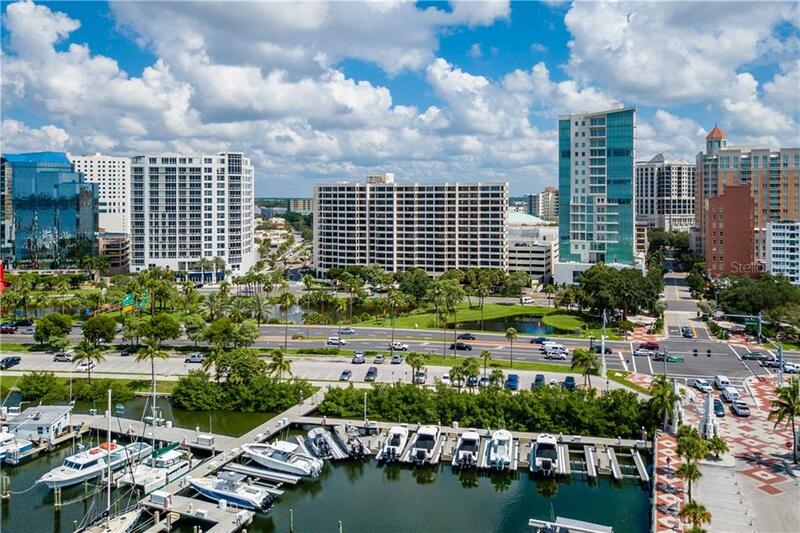 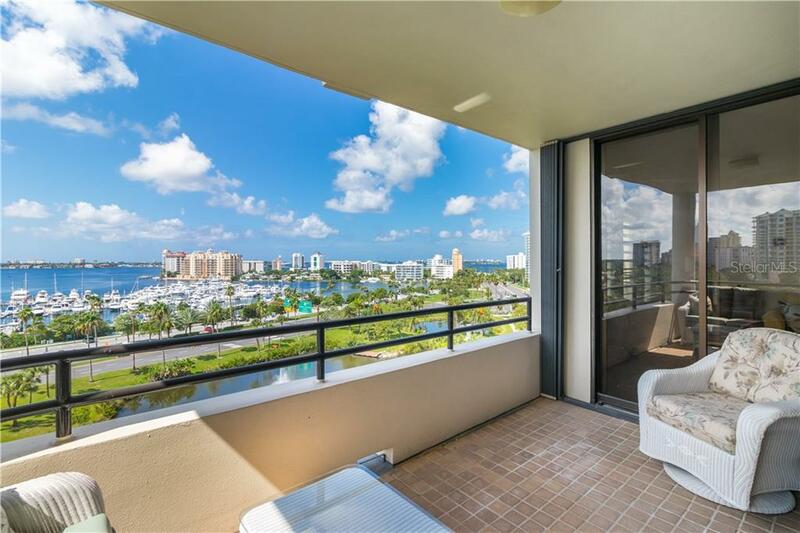 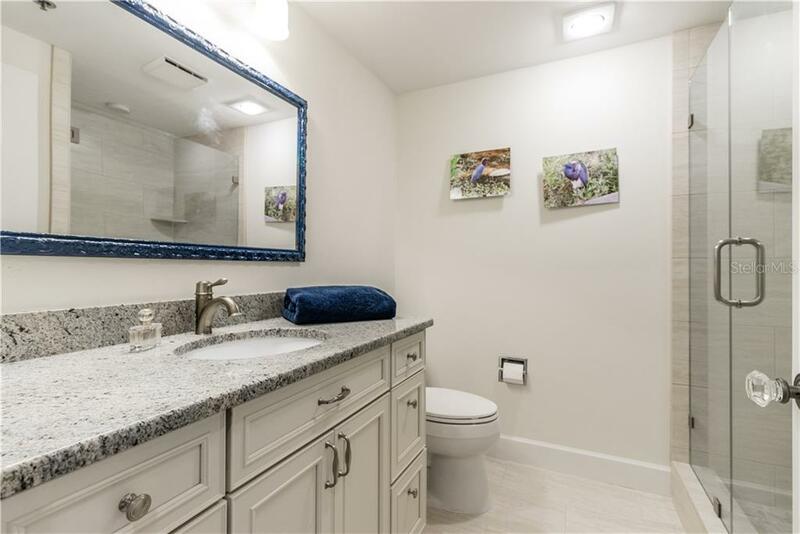 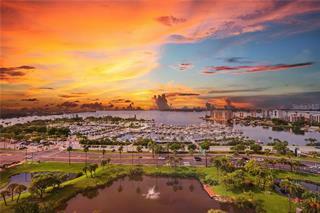 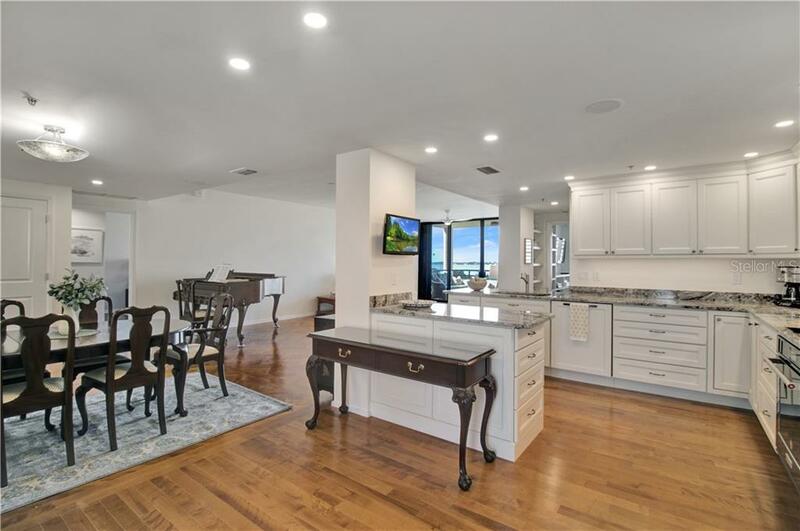 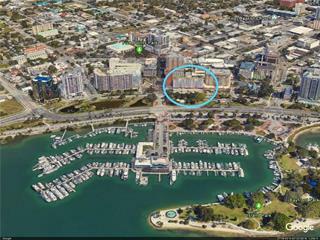 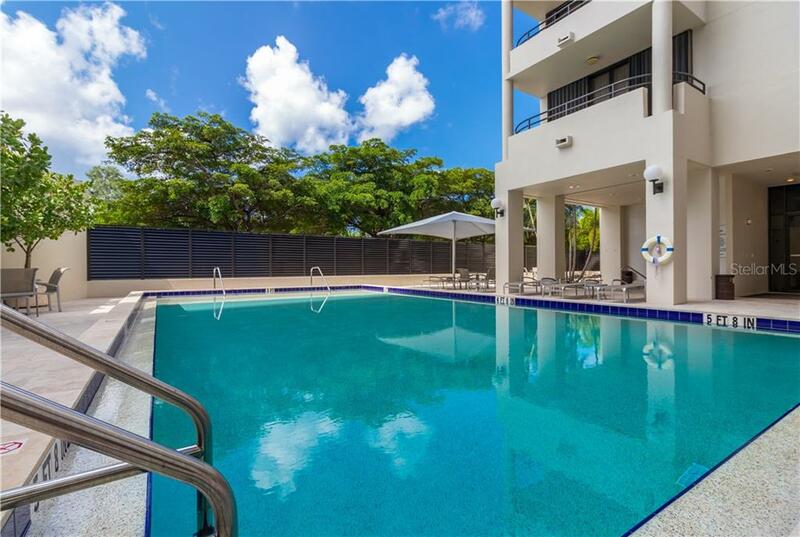 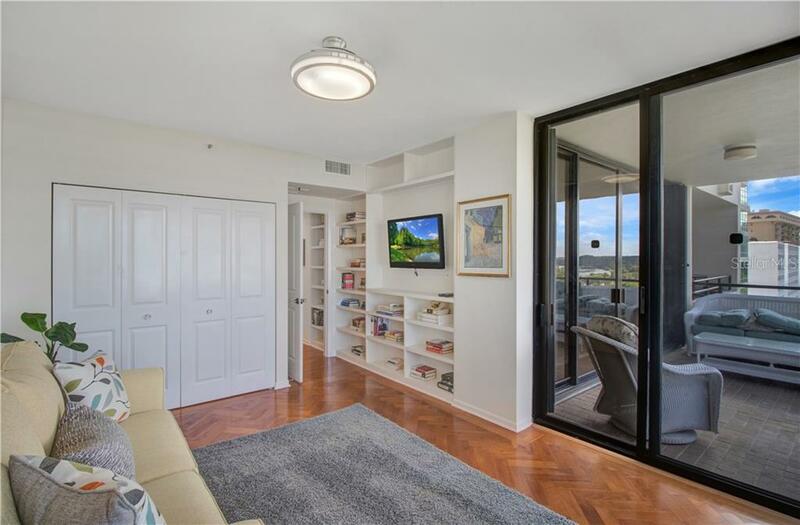 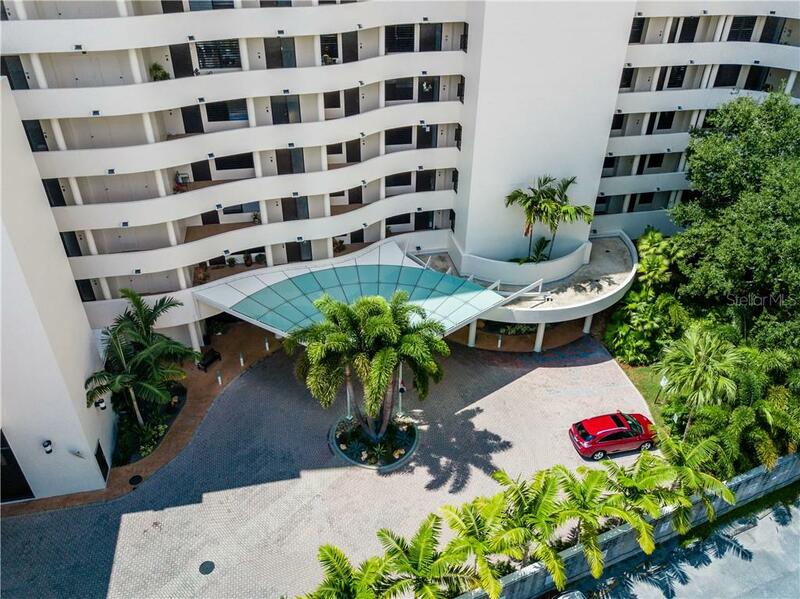 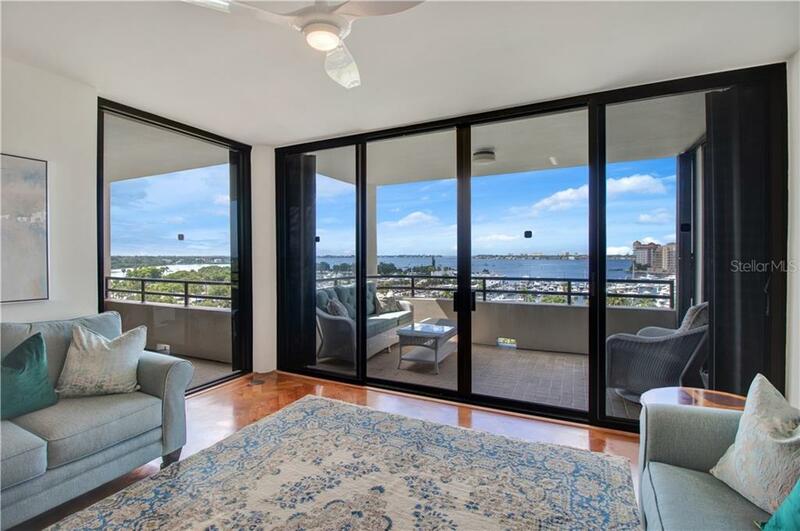 Stunning 8th floor bay and marina views combine with the ultimate Downtown Sarasota location and convenience of two garage parking spots serviced by the valet in this masterfully redesigned and renovated Bay Plaza residence. 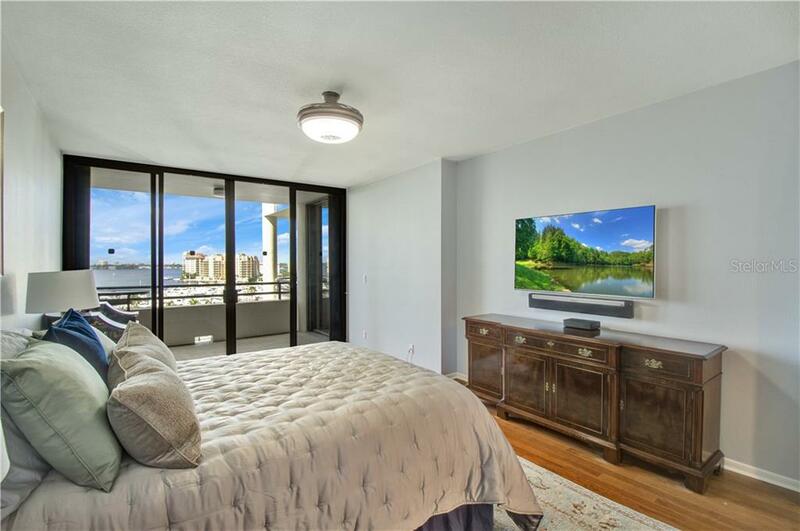 Walls of w... more.indows and glass sliders, plus 200SF of outside space on two covered balconies, allow for endless water vistas whether you enjoy the condo from inside or out. 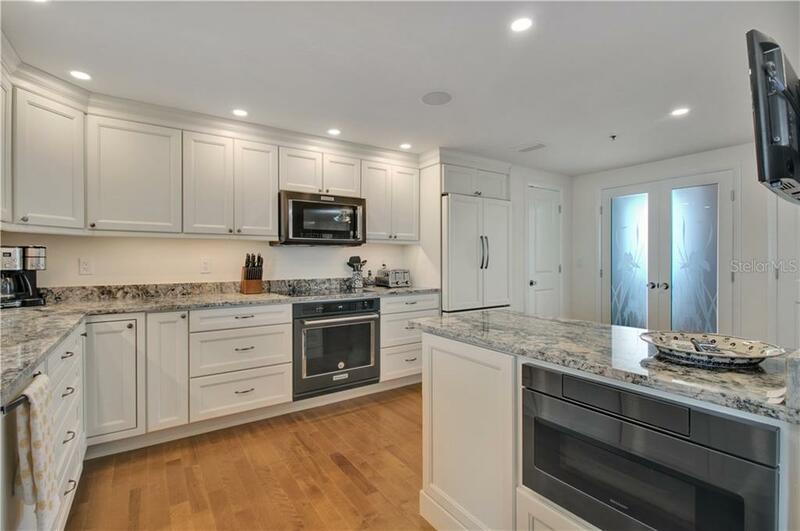 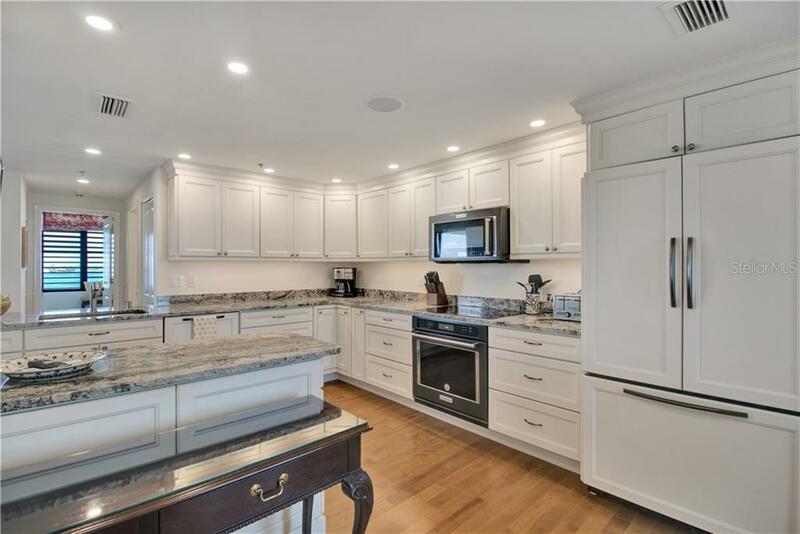 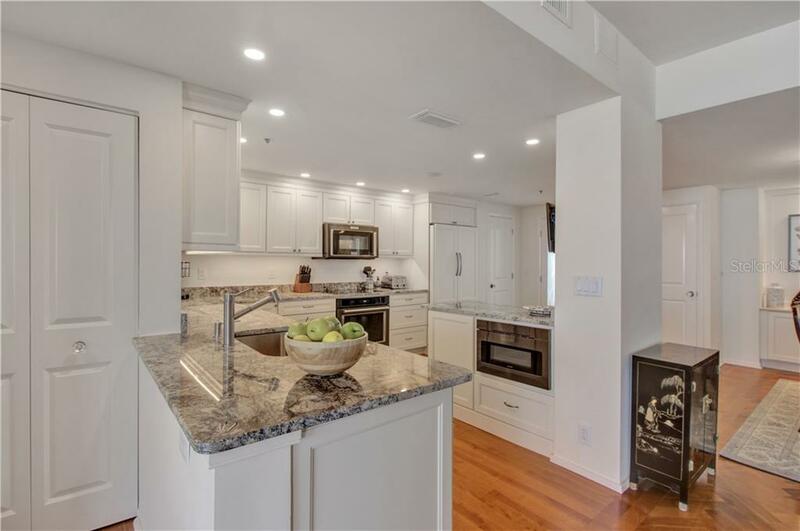 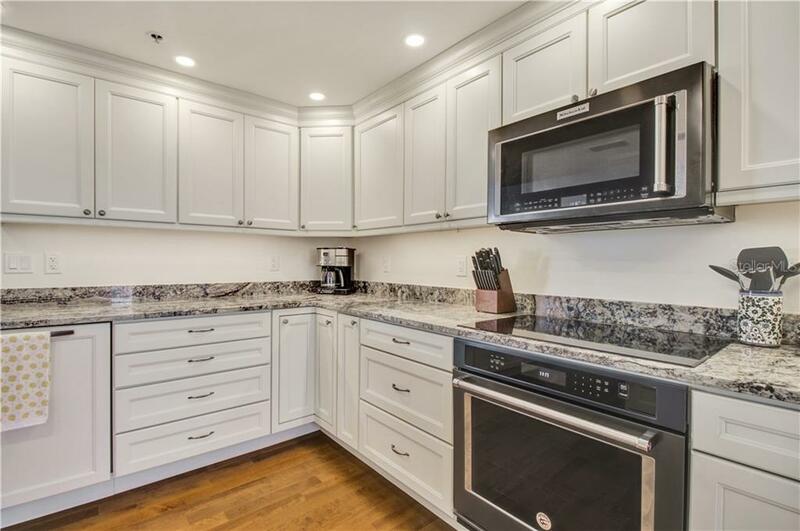 This urban oasis features a gorgeous open kitchen with white shaker cabinets, KitchenAid and Bosch appliances, under cabinet lighting, and granite countertops. 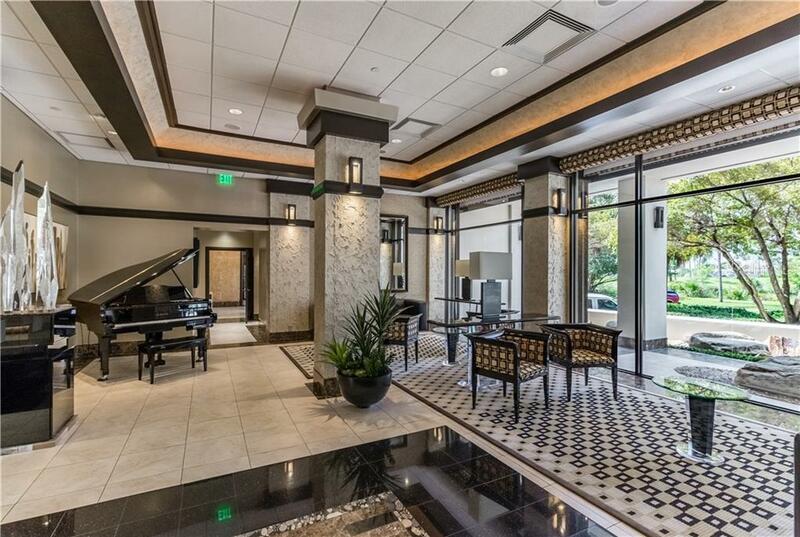 A dining room feature wall with built in marble-clad buffet has also been constructed to show off prized art pieces. 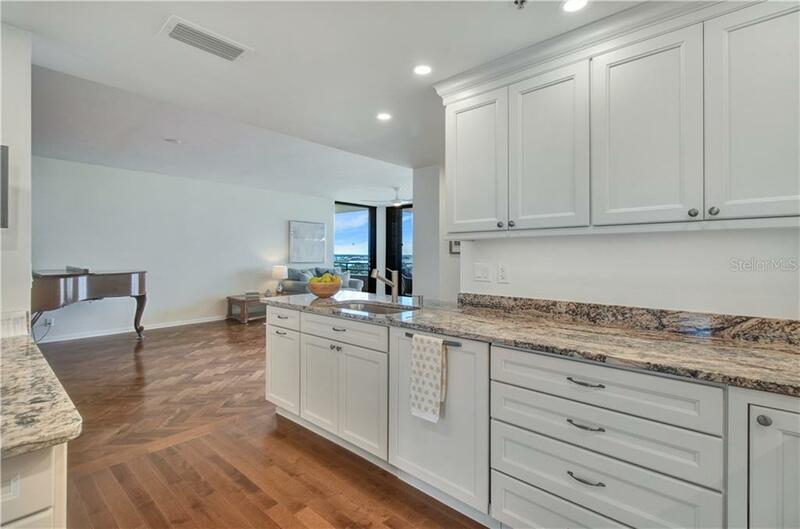 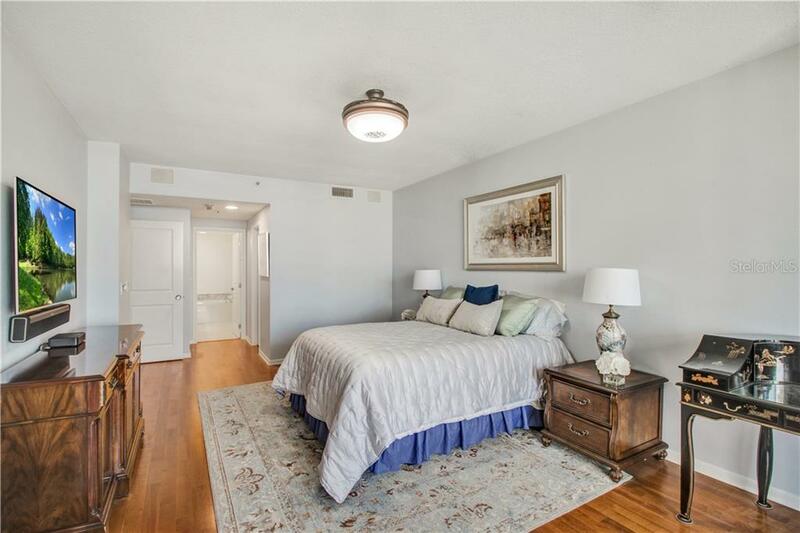 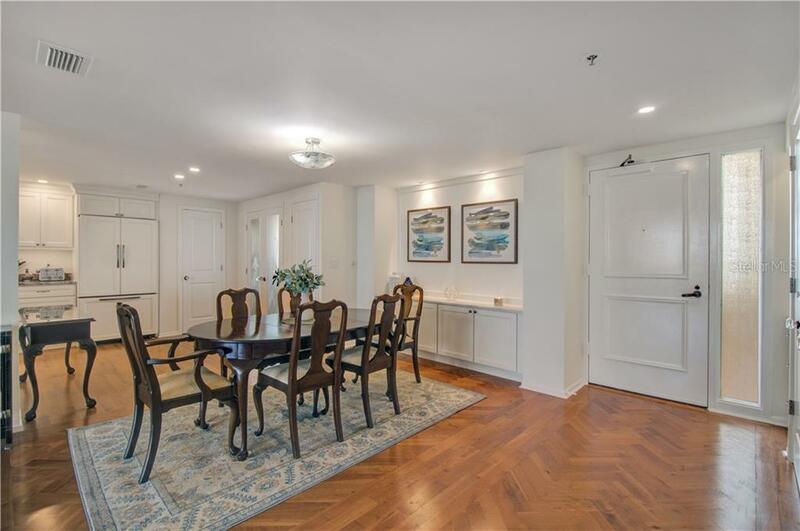 Herringbone beechwood floors are a focal point of their own, and new doors with crystal knobs, LED recessed lighting, and sound system with built-in speakers elevate this condo to timeless sophistication. 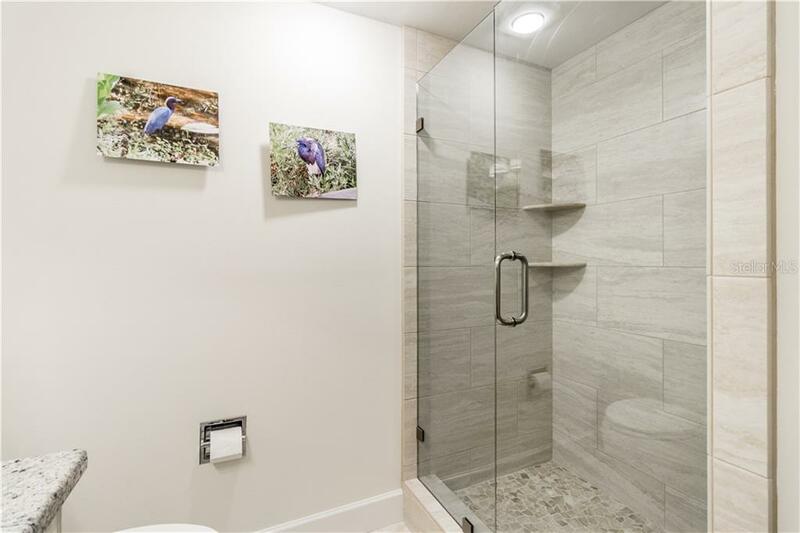 The split master and guest suites have renovated bathrooms with custom cabinetry, granite, and frameless glass-enclosed showers. 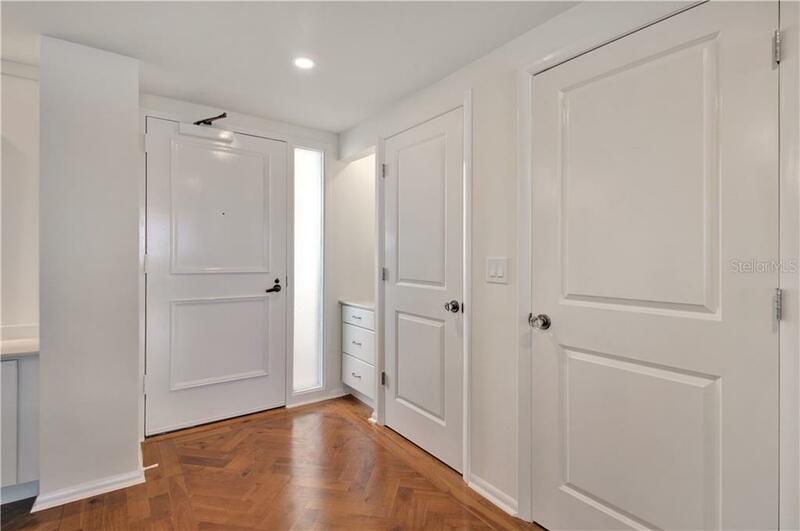 Etched glass doors have also been added to create a separate laundry room off the kitchen. 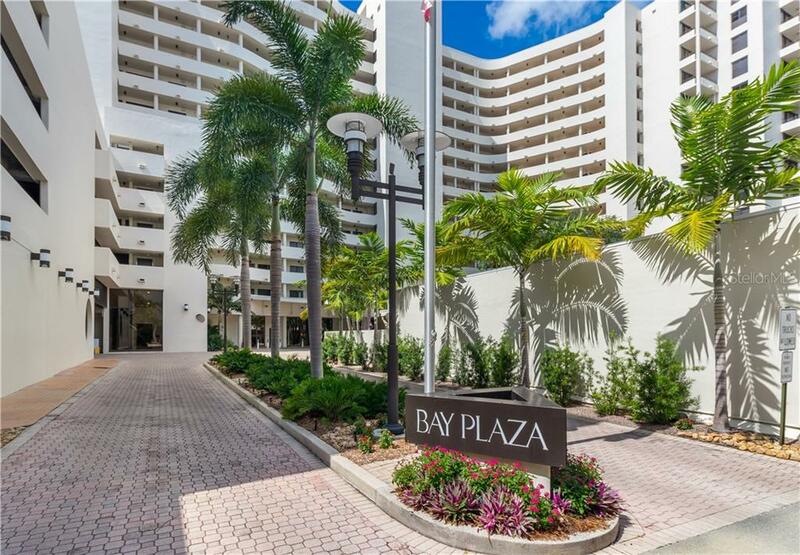 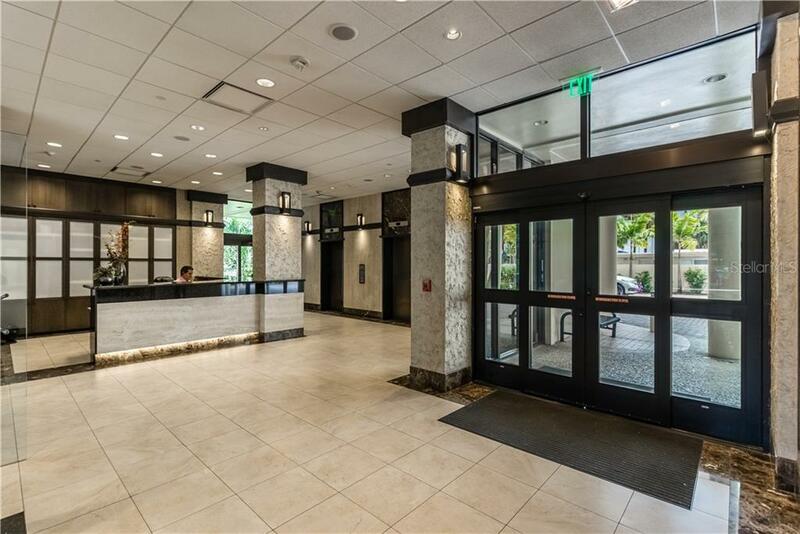 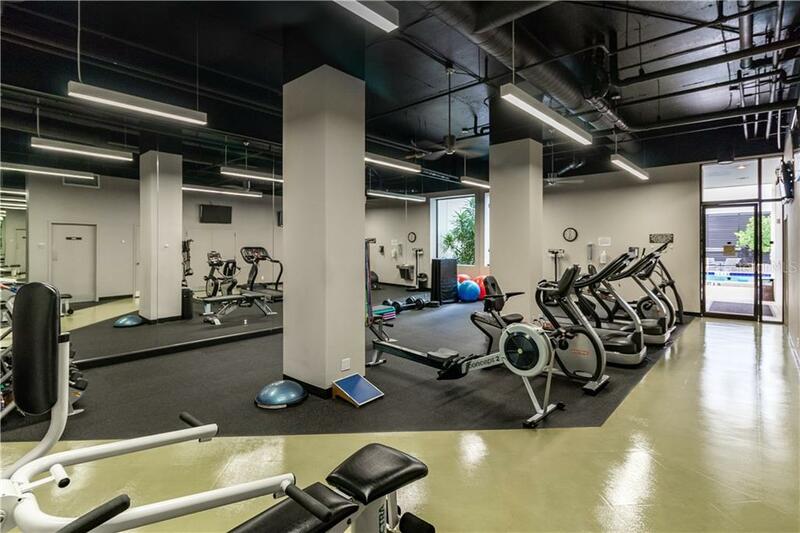 Bay Plaza is amenity-rich with a grand salon to greet or entertain guests, card room, board room with full kitchen, fitness center, pool, spa, steam room, sauna, and grill area, with 24-hour valet and concierge services. 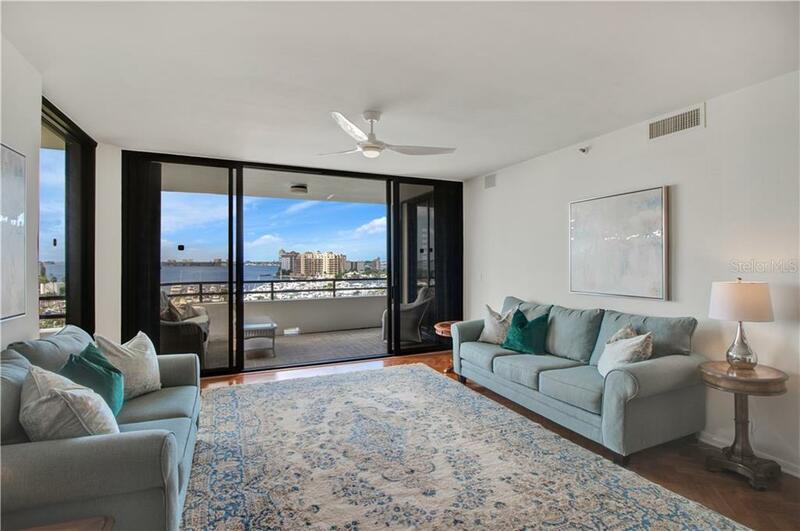 Fine and casual dining, the opera, theaters, library, and Whole Foods are at your fingertips, and world-class beaches, St Armands Circle, and the Sarasota Airport are just minutes away.